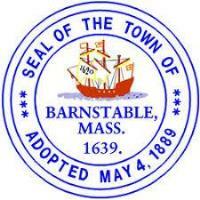 The draft One Year Annual Action Plan for 2019 program year and the Citizen Participation Plan will be available April 3, 2019 on the Town website: www.townofbarnstable.us/CDBG and in the Planning and Development Department, 367 Main Street, 3rd Floor, Hyannis, MA 02601. This location is accessible and reasonable accommodations may be made upon request. The plans serve as planning and strategic documents for the Town’s CDBG Program, which is funded by the U.S. Department of Housing and Urban Development (HUD). The 2019 program year begins July 1, 2019 and ends on June 30, 2020. Estimated funding for this program year is $287,173 plus any carryover. The Town is seeking public input on the draft Action Plan, which outlines funding priorities for the upcoming program year; and the Citizen Participation Plan that describes the public process. Funding levels are estimates and subject to change. Barnstable residents are encouraged to review the plans and to participate in the CDBG process. Please submit comments in writing to the Planning and Development Department, ATTN: CDBG, 367 Main Street, Hyannis, MA 02601 or by email to kathleen.girouard@town.barnstable.ma.us with “CDBG Comments” in the subject line. Comments will be accepted through May 3, 2019 and included in the final plans submitted to HUD. CONTACT: Planning and Development Department, 367 Main Street, Hyannis, MA 02601. Phone: 508-862-4678, TDD#508-790-9801, kathleen.girouard@town.barnstable.ma.us with questions about the CDBG program.